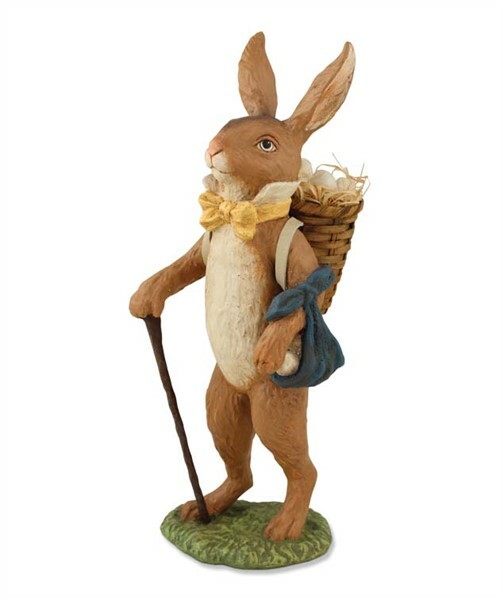 He is a beautifully handsome rabbit , hand painted of resin with a natural basket on his back. He is approx 8.5" x 3.5". Bet he has stories to tell. Add him to any Easter or rabbit collection.